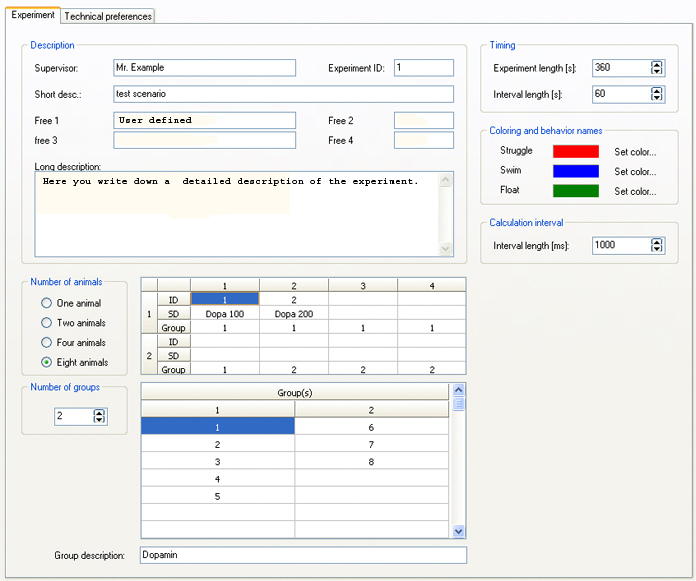 Here you can configure the experiments and save pieces of information about the animals and the experiment. You can put in a description of the experiment as well as a description for each animal. You can also combine animals to a group so the data are summarized later on automatically. In this section the filters for the detection and distinction of the three behaviors are adjusted. This needs to be done only once, when the whole system is set up. After that, no filter adjustment is necessary any more. It is very easy to adapt the filters until the results meet your expectations. 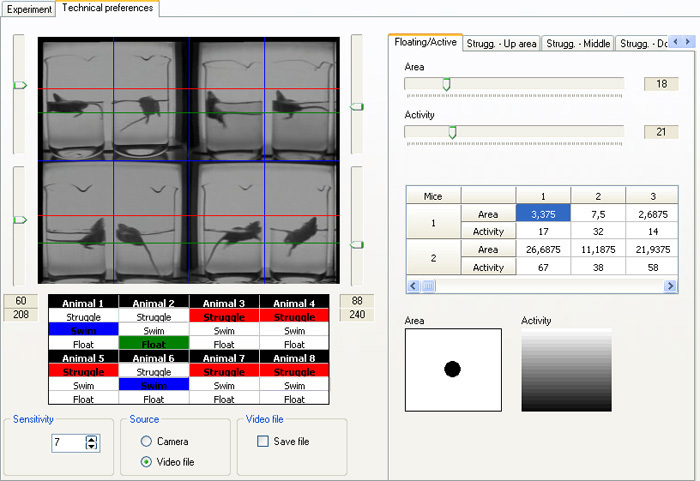 During filter configuration the video source and the detected behaviors are shown in real time.